This week Monsters Inc arrived free on DVD for Maxwell. Maxwell was of course pleased that he had a new DVD but I was also pleased that he had a new DVD which would have cost me around £8 for free. How did we get it for free? We signed up to Disney Movie Rewards, bought Disney products and saved enough points up to get our free DVD.. Is it worthwhile? YES! 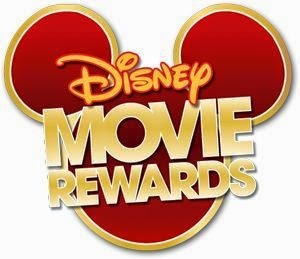 Disney Movie Rewards is a reward scheme which enables you to get free products by buying other Disney products. Eligible Disney movies, music, video games and other products all include a code inside there cases, this code is worth a number of points. Once you have a code all you need to do is sign up to Disney Rewards and put the code into the top bar. You will also need the barcode on the back of the case of the product you found the code on. Once you input several codes and you have points you are then able to redeem DVD'S, Blu Rays, stickers, activity packs and iron ons for free. To get Monsters Inc for free we used 5 codes from 5 different Disney films we had lying around. Unfortunately we kept finding Disney DVD's on our DVD shelf however they did not include a code as they were not the eligible Disney films which came with special codes, so please keep this in mind if you are buying films. You can check here to see if the film you want to buy is part of the Disney Movie Reward Scheme. If you are Disney fans but have no codes to redeem DVD's then why not print some of Disney's free activities off? 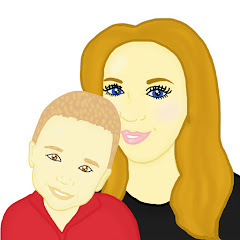 For free you are able to print free activity packs, bookmarks and colouring sheets. The colouring and free activity packs look fun for this long bank holiday weekend. Overall we are huge fans of the Disney Reward Scheme and we love everything about it. Personally I would love to see a wider range of reward DVD's that you are able to claim however there is a large choice and I am sure there is something for everyone to choose from. We would love to redeem Tangled next which is priced at around £10 in shops so these reward codes really do save you money. This looks fab, will make sure I check it out. Love any sort of freebies! We love disney movie rewards - we've got lots of free movies!